Colorado gets a visit from the Queen. 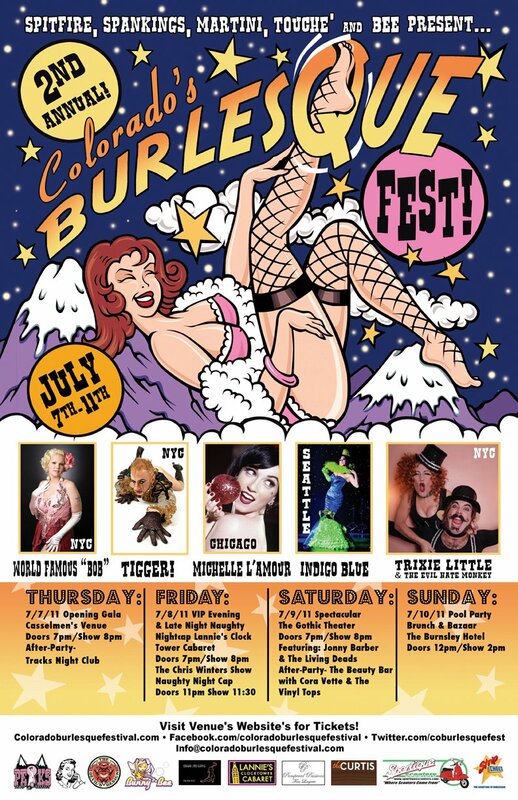 The 2011 Colorado Burlesque Festival kicks off tonight and runs through this weekend. The headliners and performers are the crème de la crème of neo burlesque, featuring the Pacific Northwest’s charms with our very own Miss Indigo Blue (Seattle), Evilyn Sin Claire (Seattle), and Baby Le’Strange (Portland). ~ by angrytruffle on 07/07/2011.